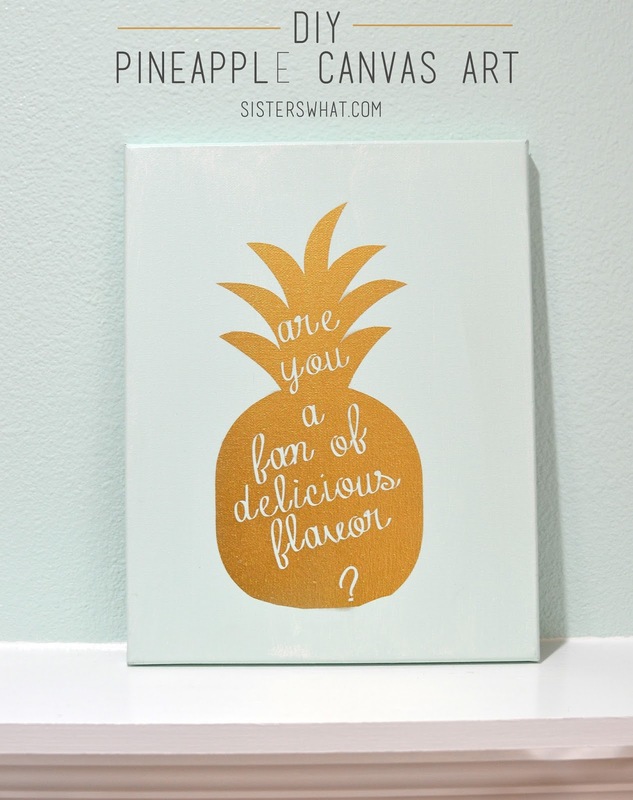 ' DIY Pineapple Canvas Art - Sisters, What! 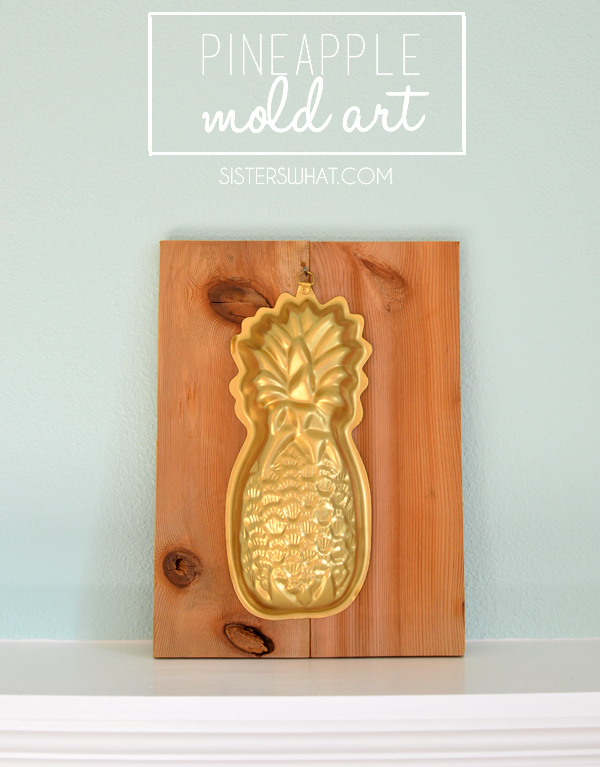 Remember my pineapple mold art from February that was actually intended for my sister as a Christmas gift? 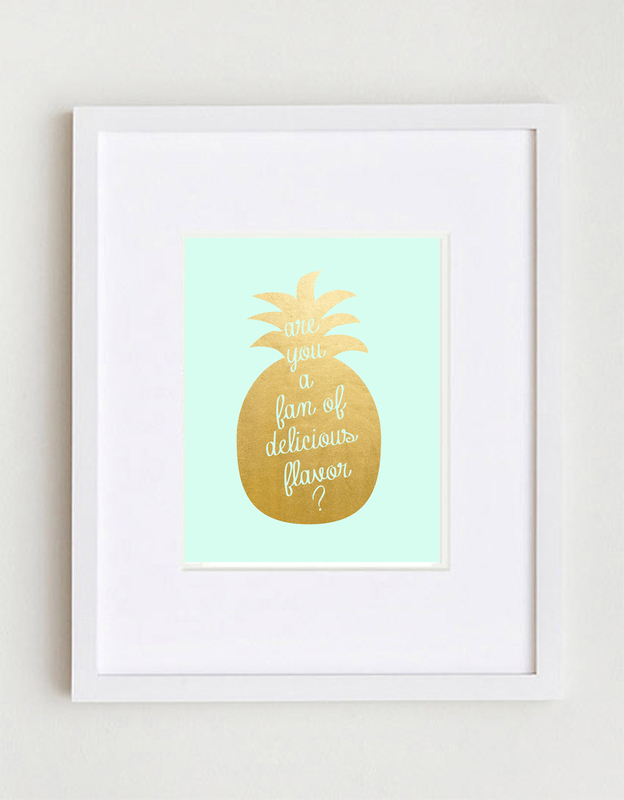 Ya, well since I ended up keeping it for our house, I had to come up with something else. Sometimes that just happens right? Don't worry, like I said then, I had something just as equally awesome up my sleeves. 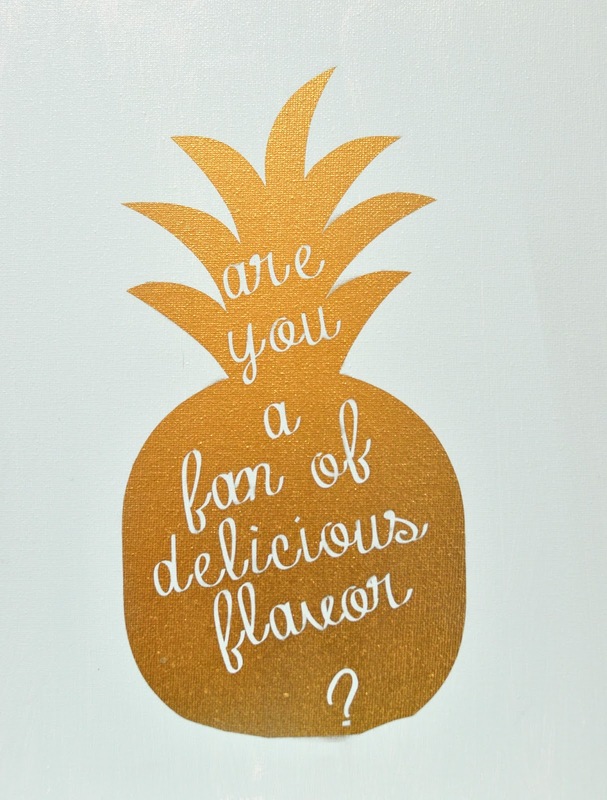 Yep, it also involved pineapple. 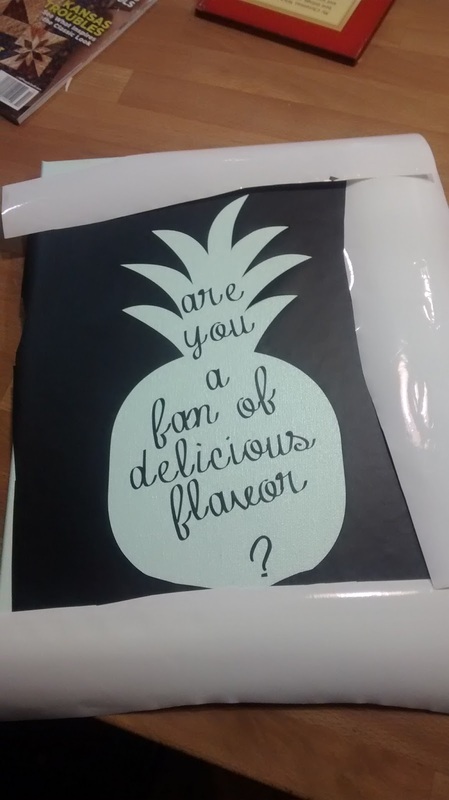 I saw this great pineapple sign from Craftaholics Anonymous with a quote from Psych and knew I had to make it for my sister. But I didn't have any wood laying around, so I decided on using an art canvas and some gold spray paint. I was a little nervous about how it turn out, but it totally turned out great! ||1|| Paint your canvas in your desired color. Let dry. ||2|| Cut out your SV3 with vinyl and place onto dried canvas. 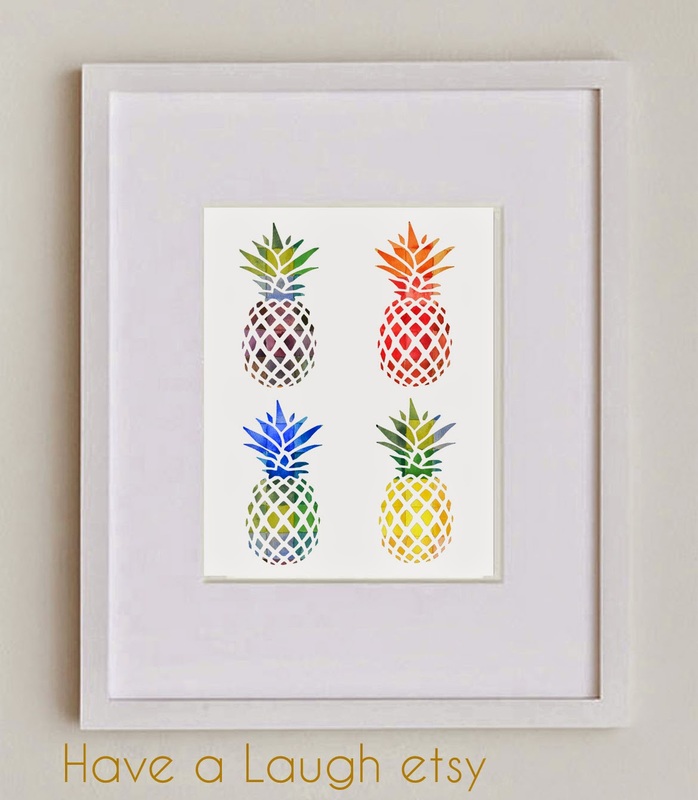 Then paint/spray paint the pinapple with your second color. Let dry then peel off the Canvas. Very cute! I love the gold/mint combo too. That did turn out very nice. The colors are great too. I like this. Very nice! Thanks Catherine, I think the gold/mint turned out great too.